"Dude - this is amazing. It's like my own personal John Daly but tastes like an Arnold Palmer," I said, thanking my husband for quenching my thirst after a long work week. Legs kicked high against the dimming evening sky, we indulged in our adult beverages and sighed deeply as our first line of meditation in welcoming the weekend. And what was in my palm you ask? 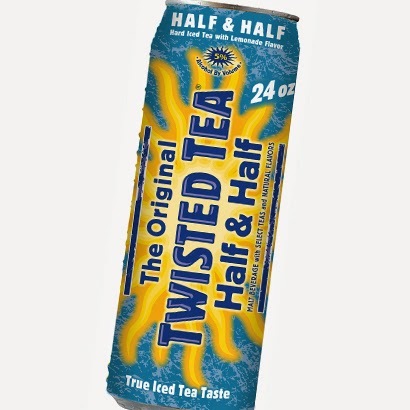 Twisted Tea. Twenty four ounces of goodness that tastes just like the mix you get at Starbucks, but at a lesser cost and includes alcohol. Both versions, whether they're heavier on tea or lemonade, are dangerously delicious if you're an Arnold Palmer fan, and it just takes one to get you feeling like it's summer. Crack one open tomorrow. It is Friday after all.